It was one of the world’s great bands, filled with five extraordinary musicians melting into one: Robbie Robertson, Rick Danko, Levon Helm, Garth Hudson, and Richard Manuel. I am referring, of course, to The Band. 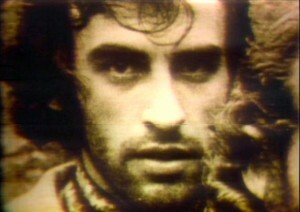 Of them all, I count Richard Manuel as my favorite. Plagued throughout much of his life with alcohol and drug addictions, Richard Manuel contributed songs with diminishing frequency as time passed. He hanged himself at age 40 on March 4, 1986, in a Quality Inn hotel room. Had he lived, Richard would have turned 67 this past April 3nd. But those of us with ears to hear can still feel him standing there. That lonesome falsetto, the emotion quavering and yet powerful, his haunted, hunted spirit. It was all there when he sang. Please watch this brief tribute, featuring a sublime live take of “Whispering Pines.” It will do your soul good. Interview comments from Robbie Robertson, Levon Helm, Rick Danko, and Eric Clapton. By the way, that’s Garth Hudson in the hat on keyboards at the end of the clip.